For a long time I have been in desperate need of some new make up brushes. This Christmas, I finally got my hands on some and they were ones I'd been lusting after for god knows how long! The Real Techniques Core Collection provides you with 4 of brushes designed by make up artists and YouTubers Samantha and Nicola Chapman. 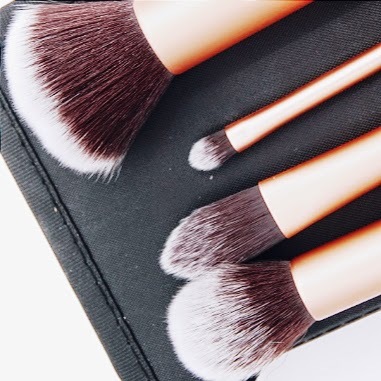 The brushes are 100% cruelty free and come in a lovely aluminium texture. The 4 brushes provided are: a Buffing Brush, which I find brilliant to apply foundation; a Pointed Foundation Brush, great for under eye concealer or eye shadow application; a Detailer Brush, which is great for applying concealer to blemishes; and finally a Contour Brush, perfect for both contouring your cheekbones or applying blusher. Technique brushes are fantastic, great for contouring and adding more detail to make up..